When you choose a RE/MAX Sales Associate to sell your home or help you in the homebuying process, you”ll experience an exemplary level of service. RE/MAX agents are The Hometown Experts With a World of Experience®. They are the most knowledgeable agents, with the experience and community connections to assist you in the homebuying process. Across the globe, they’re the people next door, or just down the block. RE/MAX agents have the experience to get the job done in today’s market. That’s why customers going through the homebuying and selling process know RE/MAX Associates as The Real Estate Leaders® and why no one in the world sells more real estate than RE/MAX. The proof of quality service is in repeat customers and in customers who refer RE/MAX Associates to friends. RE/MAX Sales Associates typically generate a large percentage of their business from past customers and referrals. At RE/MAX, advanced education is a priority. RE/MAX Associates dominate the Accredited Buyer Representative (ABR), Certified Distressed Property Expert (CDPE), Certified Residential Specialist (CRS) and Seniors Real Estate Specialist (SRES) ranks. RE/MAX agents average more sales than other real estate agents. They are better qualified to set the right price for the homes they list, better equipped to market those homes, and likely to find clients engaged in the homebuying process in a shorter period of time. That experience and education also means they are better qualified to find the right home for any buyer. The homebuying process can be a daunting task. But with the expertise of a RE/MAX agent, buyers can rest easy. The real estate network that has the most competitive advantages to offer homebuyers and sellers will be an industry leader. RE/MAX is that leader. Thanks to its global network and stellar reputation, it’s no wonder people turn to RE/MAX when they embark on the homebuying or selling process. Extensive advertising by individual RE/MAX agents, combined with national television advertising and broad Internet exposure, inspires buyers and sellers to seek out RE/MAX Associates. When you list your home with a RE/MAX agent, it will receive wide exposure. Why list your home with a RE/MAX Associate? Your home may be designated as a Miracle Home®. If it is, your RE/MAX agent will make a contribution to the local hospital affiliated with Children’s Miracle Network once the transaction is complete. The funds raised in your community remain in the area to benefit local families. Sold for the Cure gives your RE/MAX agent the opportunity to designate your home as a Sold for the Cure property to benefit Susan G. Komen for the Cure. Upon completion of the transaction, your RE/MAX agent will make a donation to the local Komen Affiliate to help support the breast cancer movement. Programs like these make the homebuying process an even sweeter deal for buyers who are indirectly contributing to the Komen mission of finding a cure for breast cancer. The real estate network with the greatest market share has the most to offer buyers and sellers. The sum total of all RE/MAX momentum, growth and Associate production over more than 35 years is reflected in current RE/MAX market strength. RE/MAX has achieved 30-percent-and-higher market share in area after area across North America and is growing in market share around the world. A measure of business leadership, Premier Market Presence (PMP) results from community-minded, high-producing Associates giving superior customer service under a respected brand. 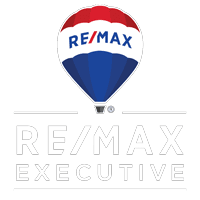 The red, white and blue RE/MAX Balloon, with its “Above the Crowd®” slogan, is one of the most recognizable business logos in the world. RE/MAX boasts a global fleet of more than 100 Hot Air Balloons, which make more than 6,000 appearances around the world each year. The red-over-white-over-blue RE/MAX yard sign and your RE/MAX agent lead you to properties in areas in which you’ll want to live and work. If you want to sell your property, the RE/MAX yard sign attracts those in the homebuying process. Nobody sells more real estate than RE/MAX. With offices in more than 75 countries worldwide, and nearly 100,000 agents, the power of the RE/MAX name boosts business and attracts homebuyers. RE/MAX – now an established industry leader – celebrated its 35th anniversary in 2008 and looks ahead to even greater real estate achievements in the years to come. Whether you’re in the homebuying process or looking to sell, choose a RE/MAX Associate. When you choose a RE/MAX Associate, you’ll have a real estate agent for life.